Fresh Crushed Pomegranate Juice! 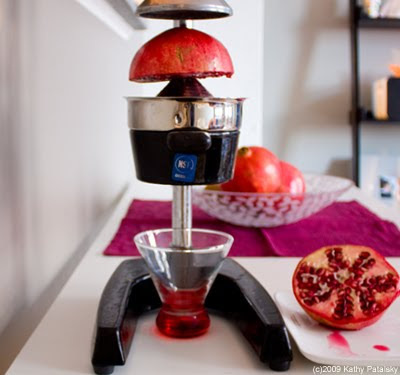 Use a Manual Juicer. 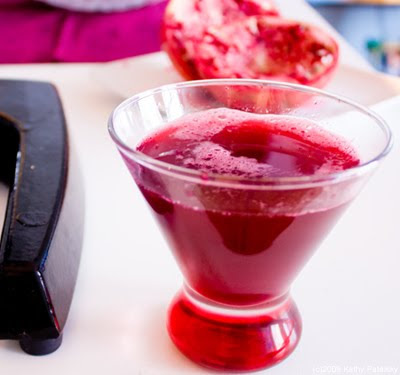 *My Fave Holiday Bevie* Fresh pomegranate juice + extra dry prosecco = PomSecco! yum. Two Juicer Household. 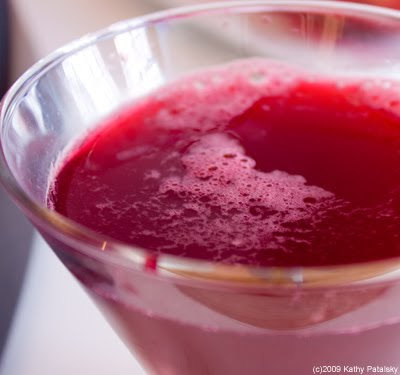 There are some things you love so much, you need two of them. Two cars, two computers, two cameras, two televisions, two pairs of slippers. 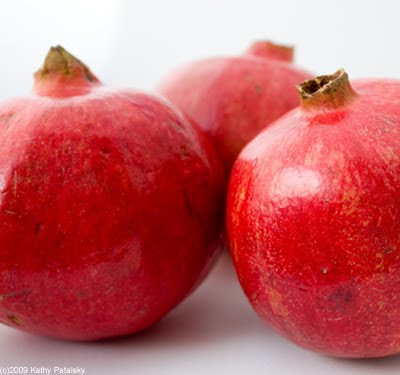 Me, I have two juicers. 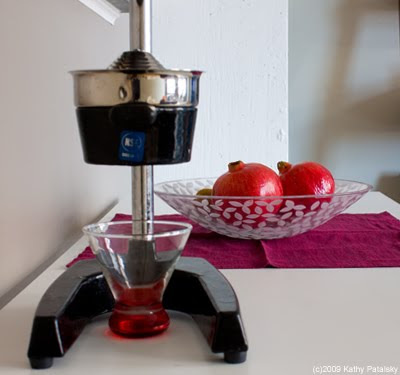 I love them both, and they are each used for different juicing purposes. 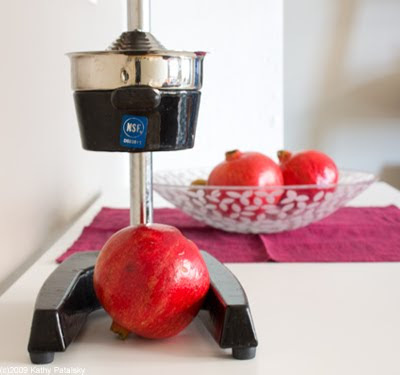 Juicer #1 is my SuperAngel, which I use for juicing anything from apples and ginger to pineapple and wheatgrass. 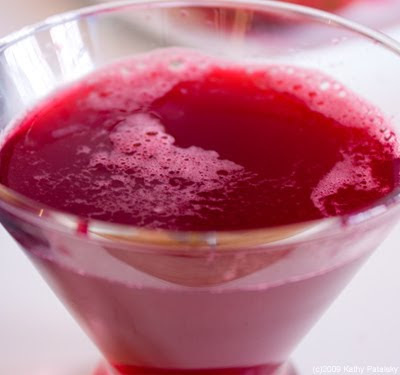 However, if I'm going for straight up citrus juice, I go with juicer #2 the Orange X. 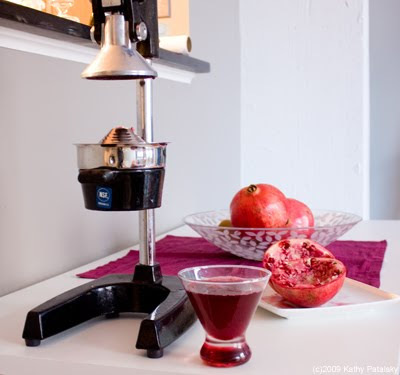 However, I recently discovered that I could actually 'juice' or 'crush' pomegranates fairly effectively using my Orange X juicer. 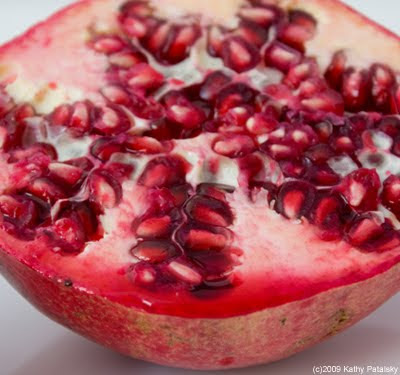 I had never tasted truly fresh-crushed pomegranate juice before, and it blew me away. I was hooked. 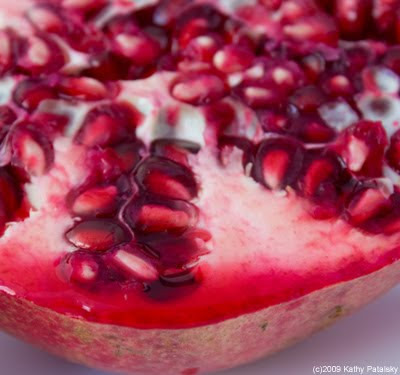 I went out and bought four more pomegranates at Whole Foods the next day. 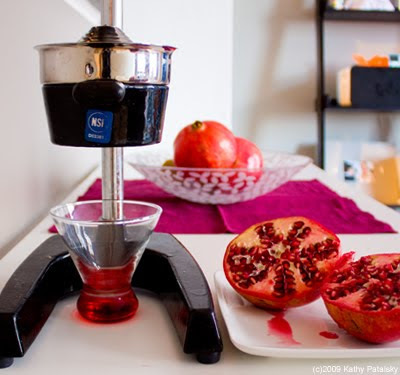 Note: It's true, the Orange X was not specifically intended for use as a pomegranate crusher. Hence the name, Orange X. So attempt this at your own risk. 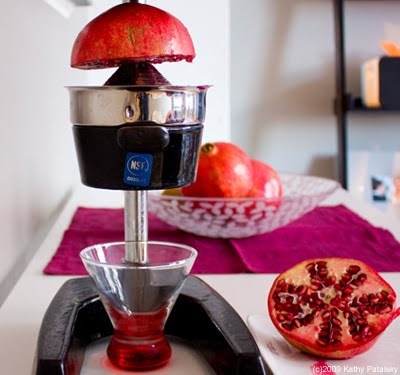 But I personally find the results delicious and there seems to be no harm done to my sturdy professional grade Orange X juicer. 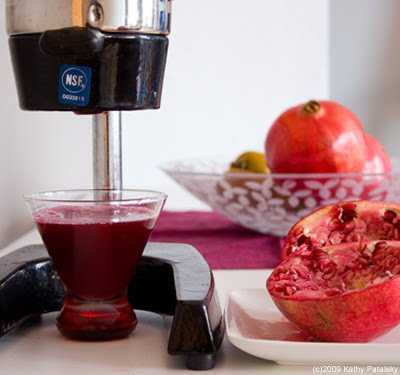 And upon researching, I found other people who have 'crushed pomegranates' in their Orange X juicer before - so I'm not alone. 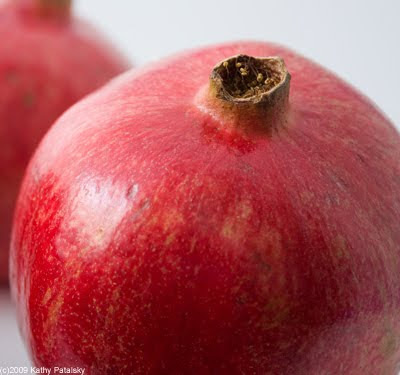 Why Pomegranate Juice? 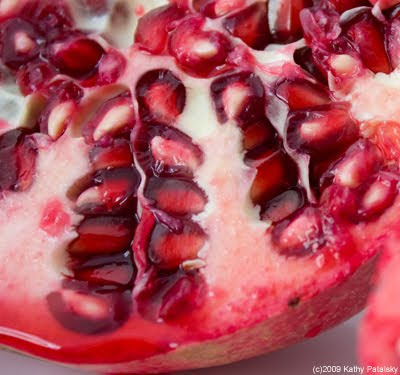 You may have heard the hype about pomegranate juice. And while it certainly isn't a 'cure' for anything, it does appear to improve the health of your body. 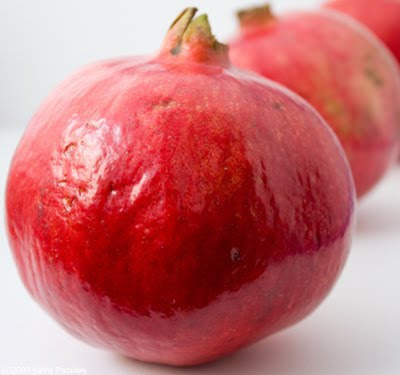 Pomegranate juice is an excellent source of potassium, vitamin K and is particularly high in three types of polyphenols (antioxidants): tannins, anthocyanins, and ellagic acid. 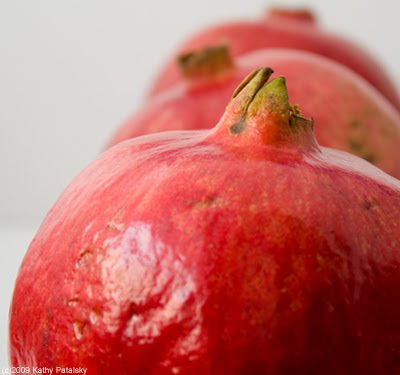 Studies have shown that pomegranate juice may be effective in promoting prostate and cardiovascular wellness. 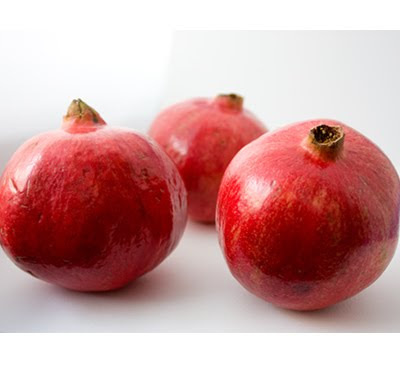 "There are studies that show pomegranate juice has anti-oxidants that help to protect blood lipids from oxidation and pomegranate will help to prevent plaque build up in your arteries. 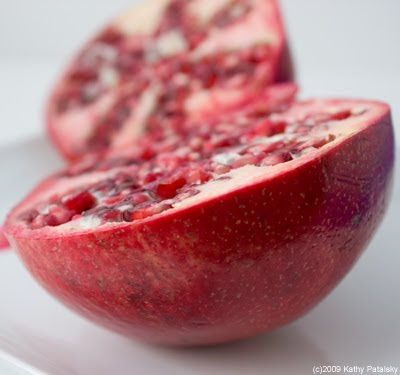 This means that adding pomegranate juice to you diet may help to keep your arteries healthy. "- About.com, Medical Board reviewed. You can find more than a handful of credible studies from NIH and more on MedPub.gov. 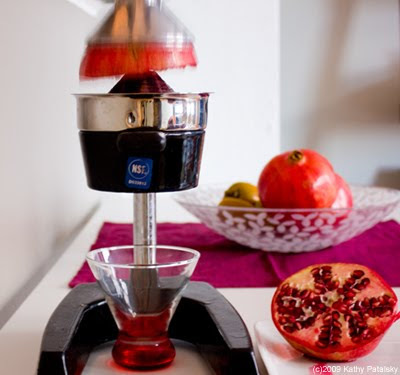 * Smaller pomegranates fit the Orange X juicer better. 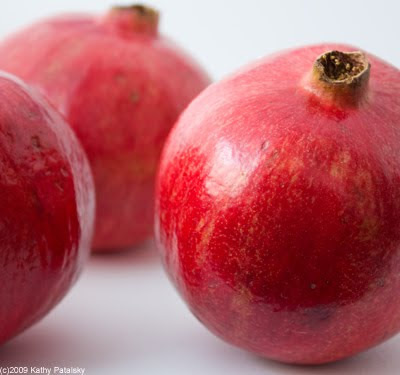 * Juice when ripe, never juice a 'harder' under-ripe pomegranate. 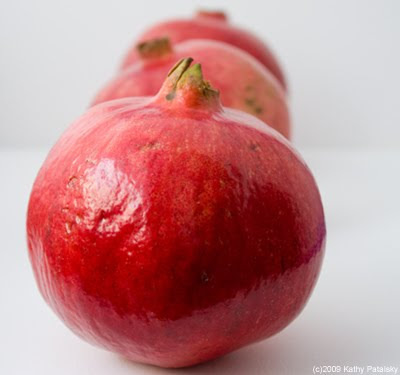 * Drink right away or store in an airtight container in fridge for up to a few days.